i wasn't. My GCSE's have taken over my priorities. I am now finishing them and have time to focus on books. I havent read since around February due to my GCSE's and health. that is when i know im back in the zone. I'm back, im finally back. I haven't blogged in over a month now, and coincidentally i haven't read in over a month, the only thing i have read is a book for school. I have had some issues in my personal life which have meant i have been focused on something else than reading. However, I am okay now and on the full road to recovery, so im back! I'll try to update when i can, my life is pretty hectic right now with my GCSE's and such, so i may only have time for one post a month, but none of the less, i will be back to posting and reading. I am so chuffed with myself as I've picked up a book tonight and have gotten fully engrossed in it, this is a big step for me with what is going on. Wow, this is my first ever 'Author interview' and i'm very excited for it. 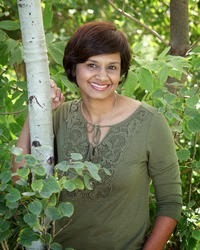 I was lucky enough to interview Simi K. Rao who has just wrote 'An incurable insanity'. The book it self seems extremely interesting as I have never read a book on this subject before. Her heart fluttered when she heard the sound of the key turn in the lock. She quickly adjusted her maroon silk sari with the yellow border, the one that had caught his eye, and waited eagerly for his footsteps. One, two, three, four, five, six, seven... Yes, exactly seven steps before he stopped, hesitated for a few moments, then removed his shoes one by one and arranged them neatly side by side on the shoe rack. She smiled. He had been mindful of taking his shoes off every day now. "I am not used to it, but I will if you want me to. It's probably a good thing to do anyway." As he settled down, he would pick up the TV remote and, without looking at her, would say in his smooth baritone, "So how did you spend your day, anything interesting?" Shaan Ahuja found himself bowing to tradition and agreeing to an arranged marriage to the beautiful Ruhi Sharma. He went through the motions but had no intention of carrying through on his vows. His last foray into matters of the heart with an American girl had left him scarred and unwilling to try again. Thoroughly disillusioned and disgruntled he wasted no time in making his intentions clear to Ruhi on their wedding night. But, he was completely unprepared for what his new wife had in mind. So, onto the actual interview!! So Simi, what inspired you to write your book? I had come across a few incidents of arranged marriages gone wrong in the immigrant Indian community. I wanted to tell a different story where a woman does not compromise with her situation instead forces the hand of destiny. And she does it despite all her shortcomings. When growing up, did you know you wanted to become an author? No I always wanted to be a doctor. I became an author almost by accident. None really, other than write with passion and develop your own voice. Are you planning on writing anymore books? Yes, hopefully by the end of this year. So this was a very exciting thing for me, I hope you pick up a copy of 'An incurable insanity', I know I will. For this I have chose 6 complete series/trilogies. Percy Jackson and the Olympian's series by Rick Riordan , this consists of 5 books. Basically, it is about the son of Poseidon who is a demi-god, he is called Percy and these books follow him as he grows from a 12 year old to a 16 year old. Add in a few bad Gods and quests and you have yourself a very good series. The Uglies trilogy by Scott Westerfeld , this is about a world where you have an operation to turn yourself from 'ugly' to 'pretty' when you turn 16. This book follows Shay and her adventure, she wants to be pretty but she also sees something 'ugly' about it. The vampire academy series by Richelle Mead. This consists of 6 books. These books follow Rose who is a guardian for a vampire princess called Lissa. What happens when Rose questions authority, when rules are broken and love connections are made? If you like vampires or forbidden love this book is for you. The gone series by Micheal Grant. This book is a dystopian apocalypse type of book. It follows the children of Perrido beach when all the adults dissapear. Main protagonist is Sam but you also get P.O.V'S from different people. The women of the otherworld series by Kelley Armstrong. This is by far my favourite series of the year. Each book is a different persons story but it alternates between around 5 women, all the stories intertwine and all come together for the epic, 13th book finale. If you like ghosts, werewolves, witches etc then you'll love this. The legend trilogy by Marie Lu. Another dystopian read. Involves June and Day, rules and regulations and a bloody good fight. Everyone should read this trilogy, its amazing. I re-read Along for the ride by Sarah Dessen and started Peter pan by J M Barrie. all of the kids books were 3 for 2, so naturally I picked up 3, as I was approaching the till I came across a section that had reduced books and there I picked a book up for only £1!! As you know, I absolutely loved this book, but here's the thing, I read it on my kindle. 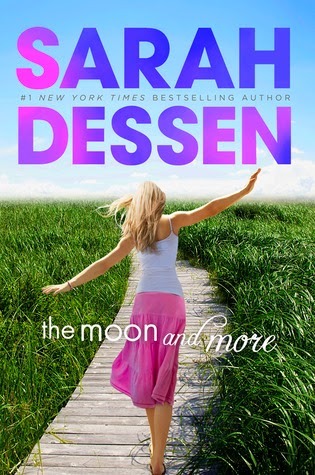 I decided it was about time to add it to my collection of Sarah Dessen books. This was in the 3 for 2 offer. I've heard nothing but good things about this book, what initially drew me to this book was the beautiful cover. 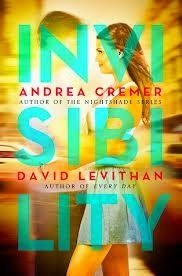 After reading the synopsis and checking it out on Goodreads I was set to buy it. This was also in the 3 for 2 offer. 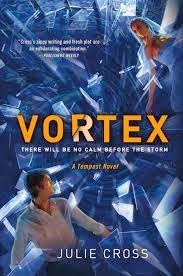 After reading Tempest and rating it 3 stars, I had no intentions to carry on with the series. 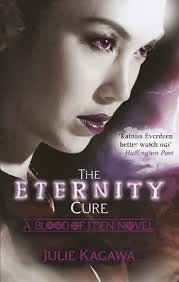 But lately my curiosity has been getting the best of me and I now want to carry on with the series and see how it plays out, this book is the second in the trilogy so I am anxious to see what its like, will it have the same second book fate most books have? This was also in the 3 for 2 offer. This book was a bargain, £1! 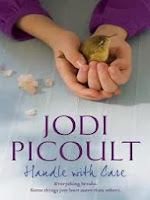 As you know from my top ten books from 2013, I really enjoyed a book by Jodi Picoult and ever since then I have been accumulating more books by her. After seeing this for a pound, in very good condition I decided to add it to my ever growing TBR pile. I then popped into the works. If you don't know what the works is, it's an extremely cheap book and stationary shop here in England, I like to pop in there as they have a deal '3 for £5' on most books and I often find some proper gems. I love Maria V Snyder's work so this was a must buy for me. It is the second book in the glass series. I picked this up as I already have the first in the series, although I am not that sure whether I have this book already. I couldn't believe it when I saw quite a few Abbi Glines books in the offer, I picked up this one as I have the first one already and now I can marathon the duo. Last but not least, I picked up the second in the blood of eden series by Julie Kagawa, I received the first for Christmas and now I have the second. 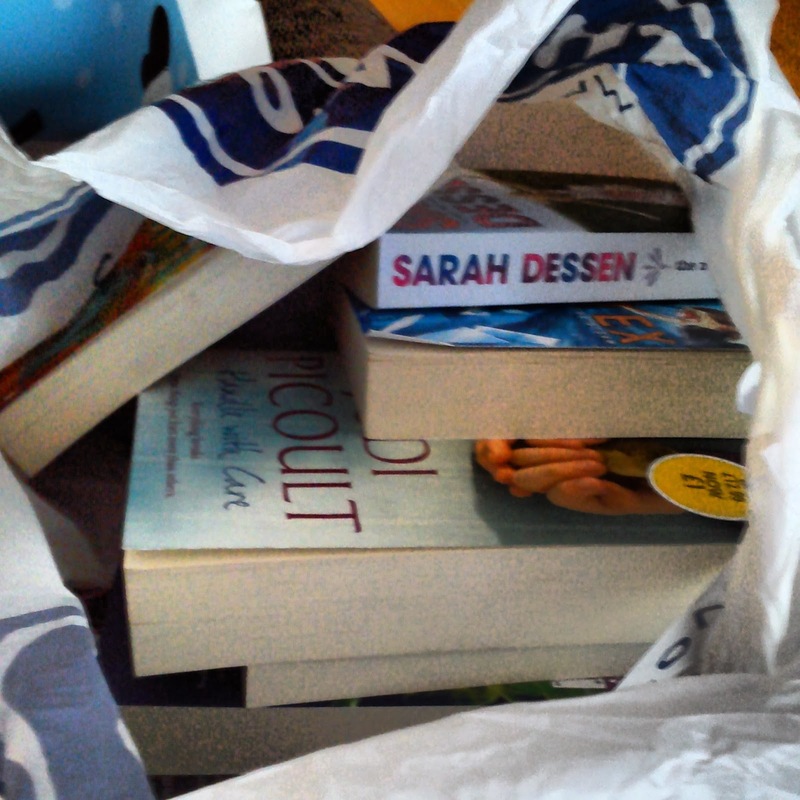 What books did you buy this weekend? So it's time for my Friday reads! I am aiming to finish The Red Pyramid by Rick Riordan. I have around 295ish pages left to read. All reviews are of my own thoughts and opinions. . Watermark theme. Powered by Blogger.